Although I haven't been blogging recently, I'm still here and I'm still running. When I haven't posted to the blog in a while, I struggle to decide what to post next - then I don't post at all. I might as well start with a general update - I'm well into training for Canyons 50K on April 29! Climbing on a training run in Sonoma. I'm both excited and scared to death of this race. 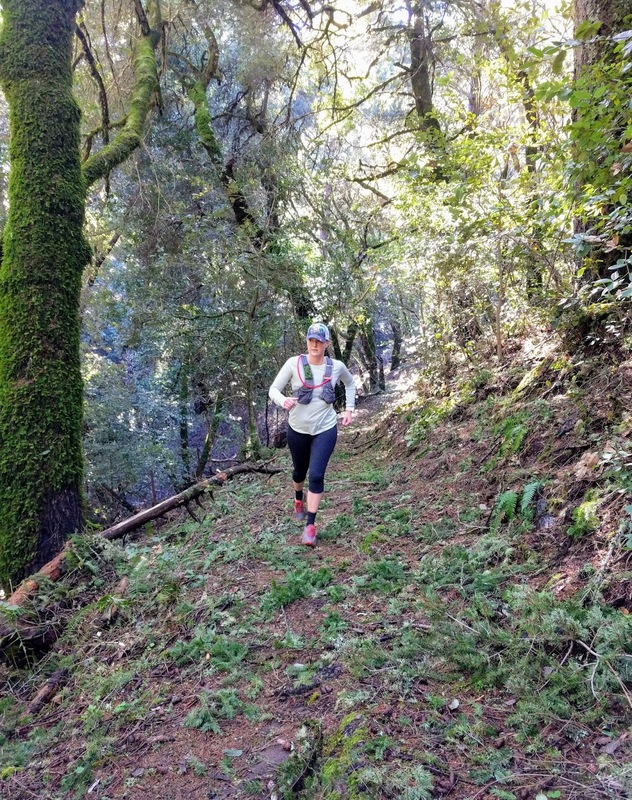 Canyons 50K is run with the Canyons 100K, a well-known Western States qualifier. The race starts in Foresthill and follows the Western States trail into the Canyons (the exciting part!) It has an estimated 9000 feet of climbing and is going to take me much longer than my other 50K events (the scary part.) It's the big, scary goals that are the most worthwhile, right? 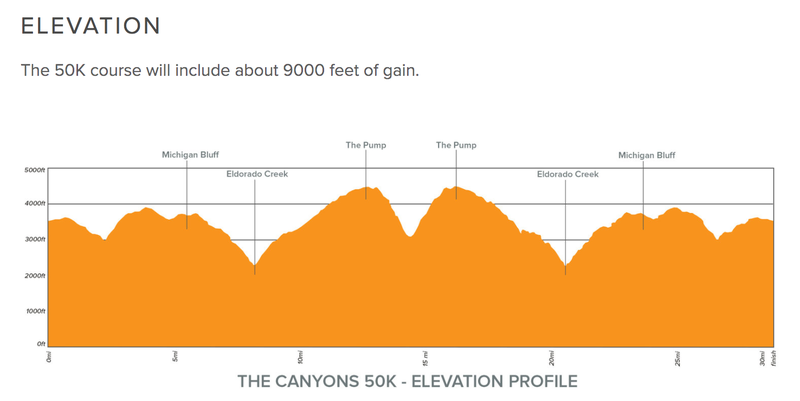 I chose Canyons as my goal race because I'm pretty obsessed with Western States and I've wanted to race in the area for a few years now. Volunteering at Last Chance aid station during Western States has made me very curious about the trails through the Canyons, and this will be my first time venturing down to swinging bridge. I can't wait to see what it's like to climb to Devil's Thumb (I'm sure I'll eat those words later) and to run into Michigan Bluff aid station. The area has so much history, the terrain is challenging, and the views are breathtaking. The sign leading into the Canyons from the Last Chance side. View into the Canyons from farther up the trail at Pucker Point. The running part of training has been going well so far, and I'm working on the confidence part. I tend to doubt myself and my abilities and that needs to stop. I've done two 20 mile runs and one 30K race so far this cycle, and I'll be running the Knickerbocker Canyon 35K this coming weekend. That event will give me more experience in the Auburn area, including what I hear are some killer steep climbs. This past Saturday, Kevin and I did our first Black Mountain summit from Rancho San Antonio as part of a 20 mile long run. That run was hard but spectacular, and I feel good about that effort. A few more like that and hopefully both body AND brain will be in the game. Downhill with a view of Silicon Valley. I've endured and enjoyed a number of very rainy, windy, and muddy runs this California winter. Being from Ohio and having dealt with all kinds of crazy weather, it doesn't seem like heavy rain should phase me, but it did. After a few weeks, the deep mud started to make different muscles and joints angry, and trail closures became an issue due to many landslides and fallen trees. I'm proud of myself for not skipping any long runs even when it seemed daunting to be outside for hours, and I thank my running friends for keeping me going! And don't worry, we always planned our routes around trail closures and made sure to stay safe. Debris on the trail in Huddart Park. A landslide covered the trail in Rancho San Antonio, this is after the clean up. Lovely mud encrusted shoes and legs after the Lake Chabot 30K! 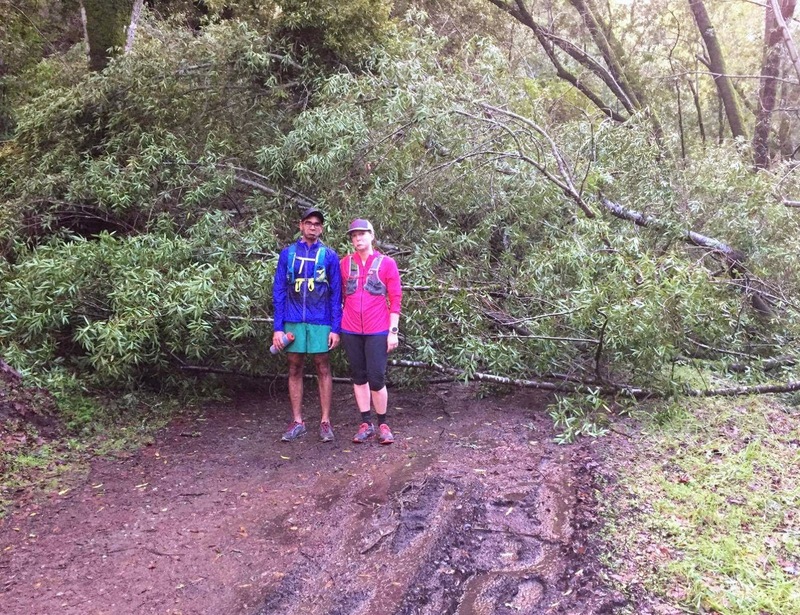 A downed tree blocked Rogue Valley trail in Rancho San Antonio. 9000 feet elevation gain? Wow! That's intense. Best of luck to you! I know, so intense! :) Thank you! 50K?! So impressed with this! Thank you! I've done 3 so far, but none this hard!